Home » national news » Is the BJP using paid tweets to influence trends and abuse opposition leaders? Is the BJP using paid tweets to influence trends and abuse opposition leaders? Ankit Lal, the Aam Aadmi Party's IT head has made a number of startling revelations about the BJP's social media strategy. In an article on DailyO, Lal wrote that tracking the ruling party's social media activity had led him to suspect that the party had hired a marketing agency in Thailand to post positive tweets about BJP leaders while attacking opposition leaders. 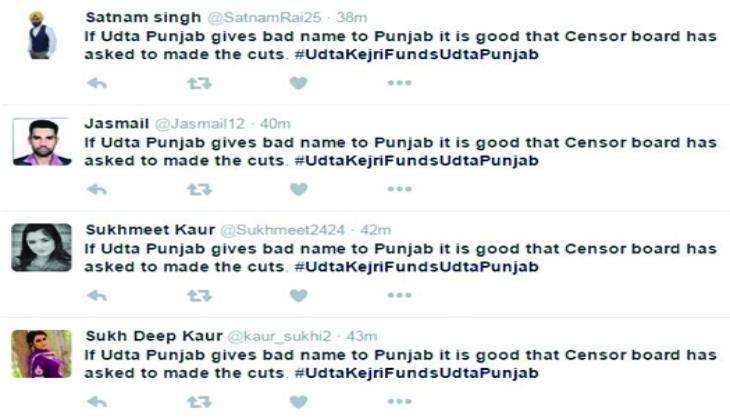 During the Udta Punjab controversy, Lal noticed something peculiar about the #udtakejrifundsudtapunjab hashtag, which dominated Twitter that week. While most of the tweets had the same content, many of those tweeting these messages had very few followers - some as low as four. Some of these accounts followed exactly 158 people, while having exactly 1.2K related tweets. Many of these users had Punjabi/Sikh names, as if someone was trying to bring about a perception that the people of Punjab were tweeting against Arvind Kejriwal and AAP. Further, on analysing Twitter trends during Prime Minister Narendra Modi's foreign visits to Qatar, Afghanistan, Switzerland, USA and Mexico, Lal noticed an unusual traffic of tweets coming from Thailand's Suhan Buri and Phra Nakhon Si Ayutthaya. BJP leaders or some of their supporters are using VPN (Virtual Private Network) to hide their location and identity. Hiding behind this wall, they create fake handles on a regular basis and help propagate the BJP hashtags. This explains the usage of the same content from multiple handles, as in the case of #UdtaKejriFundsUdtaPunjab. This also means that their actual supporters have gone silent. The BJP has hired some marketing agency in Thailand to do their dirty work. This includes creating fake users, abusing leaders of other parties and creating a negative perception against leaders like Arvind Kejriwal. Lal has asked IT minister Ravi Shankar Prasad to look into the matter.